How is Pilates applicable to today's exercise? The art of Pilates began with Joseph Pilates (1880-1967) He began his work in an English prisoner of war hospital where he was assisting injured German soldiers with injury recovery. Back in Germany he worked with dancers and injured clients and then moved to New York where he worked with New York’s top dancers of that period. Joseph recognised the importance of using the inner core muscles he called these the 'powerhouse' and recognised the importance of continuous light contraction of these muscles during exercise and activity. Today's modern research into back pain and the cause of this is continuing to reinforce his philosophies, as researchers are finding weakness and poor firing patterns in the deep spinal stabilizing musculature is linked to back pain. Poor outcomes after back pain and recurrent episodes of back pain have also been found to be closely related to insufficient rehabilitation and ongoing weakness in the core. We have used the principles of Pilates traditional techniques and combined this with contemporary scientific knowledge and research to design a rehabilitation system that we call CETIR. 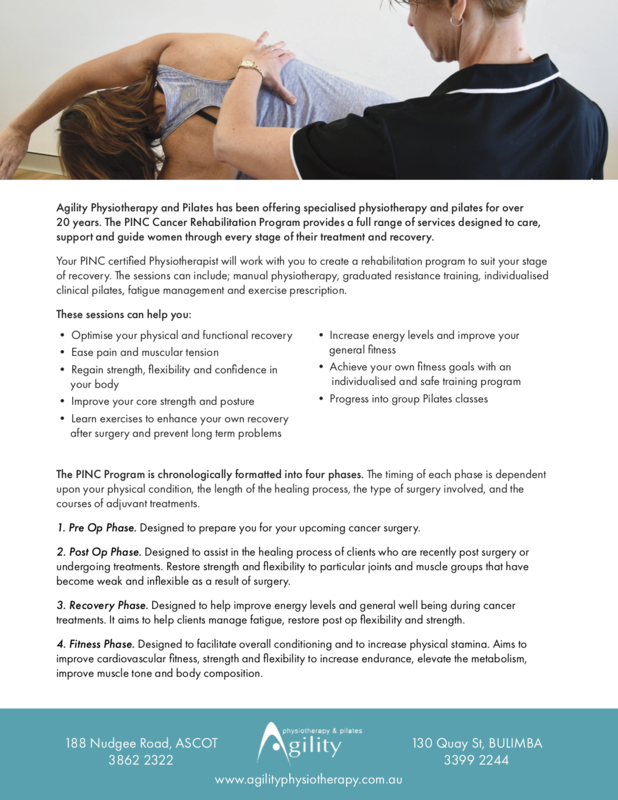 Our Clinical exercise classes have exercise options suitable for all ages from 8-90 years and all level of activity. This means no matter your fitness level or your age you can enjoy one of our Brisbane CETIR Classes. Starting CETIR -We commence with individual assessments in order to create a personal program of specific exercises to correct muscle imbalances, rehabilitate an injury or refine a particular technique or skill. We can cater for everyone from fragile injured clients, the casual exerciser to elite athletes. Our dance and sports physiotherapy experience equips us to design programmes for all levels of activity. A state of the art individualised exercise system to reduce your pain and optimise your function. Our highly trained physiotherapists use the latest in scientific research to design a programme to assist you in regaining and maintaining your physical best. Your exercise programme will be designed utilizing a range of exercise equipment such as Reformers, Trap tables, Swiss balls, Wunda chairs, Rollers, OOVs, Weights. Our physiotherapists thoroughly assess each client to ensure all elements of your weakness or muscle tightness patterns are documented and addressed. After your assessment we will design a client specific programme to improve your strength and flexibility and restore your body to optimal function whether your goals are to reduce pain, be more flexible or attain optimal function or sporting performance. Your programme will commence with one on one sessions with your physiotherapist. When you feel more confident with your programme you can join group CETIR sessions. Here you will be working on your programme in a group setting supervised by one of our CETIR trained physiotherapists. Our range of equipment offers a wider variety of safe early rehabilitative exercises as it is closed chain exercise (the arms and legs are in contact with equipment). More precision and control is achieved by the client. Equipment can also offer very advanced exercises and is now utilized by many elite sportsmen and women to gain that training edge or to rehabilitate from sports injuries. Early physiotherapy research in the late 1980s into recurrent back pain identified weakness and slow response of deep stabilizing muscles to be a primary cause of instability. This weakness led to overload on spinal structures when the spine was required to take on some loading and pain resulted. Further research is finding important linkages and roles of intermediate and superficial muscles too. We thoroughly assess our back pain clients and design rehabilitation programmes to address weakness in a number of muscles that affect optimal spinal function. Neck pain can arise from a traumatic injury like whiplash and is also frequently seen as a result of long hours in bad posture. Computer usage is one of the principle causes of bad neck posture and pain. If you suffer from neck pain our goals for you will be restoring muscles to maintain good posture, strengthening the neck and scapular stability system and restoring postural awareness. The shoulder is a complex and fairly unstable joint. It is built like that to enable large ranges of movement. As a shallow mobile joint it does requires a lot of stability input from muscles attached to it. We can assist you with strengthening and muscle timing co-ordination to overcome pain and injury. Our goal is to offer a modified training programme that you can complete whilst your injury is healing. We can work on the uninjured parts of your body to keep you in optimum shape until you can fully train and give you lighter rehabilitation exercises for your injury. This will get you back on track and into your game quicker. If you are suffering from the frustration of injuries that keep coming back you may need more than a focus just on one small area. The body has many muscle linkages that hold your body together and assist you in higher functioning activities. If these kinetic chains are malfunctioning, there is a muscle imbalance and you have poor deep control then poor function and injury often occur. A comprehensive musculoskeletal assessment can identify muscle weaknesses, tightness and poor functional patterning. We can then design a conditioning/ rehabilitation programme to address all these issues and accelerate your recovery and minimise the risk of further recurrence of injury. Many sportspersons and many sporting teams are maximising performance and minimising injury with the assistance of training on Reformers, Trap tables, and other rehabilitation/performance equipment. Here in Brisbane, we see the Broncos have now set up Reformer equipment in their new high-performance centre at Red Hill. 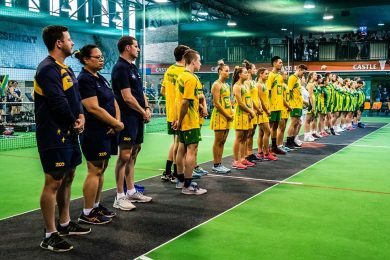 Australia cricket has had it for many years and many other high-level athletes attest to its efficacy in their performance. Olympic athletes and professionals routinely use Pilates for cross training injury prevention. The training also enhances body awareness in movement to gain an extra edge on the field or court. Names synonymous with Pilates include Stephanie Gilmour, David Beckham, Roger Federer, Tiger Woods, Michael Phelps, Missy Franklin, and Andy Murray who all train with Pilates. It keeps them at the top of their game. Starting rehabilitation as soon as possible after surgery will accelerate recovery from joint, muscle or tendon surgery. Reformers and other equipment in our exercise studio offer gentle and closed chain resistance which makes early exercise safe and controlled. Tightness and muscle weakness from hours of sitting at computers or watching screens seems to be in epidemic proportions in this “screen age”. A CETIR session focused on postural enhancing muscles and stretching can improve your pain and discomfort levels. Joint hypermobility is a general term used to describe joints when they are able to move beyond the normal range of motion. Hypermobility can lead to secondary conditions such as pain, soft tissue rheumatism, spinal pain, premature OA and depression. Hypermobile joints are likely to be less stable, are susceptible to subluxation, dislocation and have a greater risk of trauma (Kemp et al 2010). CETIR based training addresses the fundamental components of an effective training program tailored to your needs. During our CETIR classes physiotherapist are able to monitor and adjust your program ensuring that your recovery and management is maximised. There are two main types of arthritis, Osteoarthritis and Rheumatoid. Osteoarthritis is the most common form and is the leading reason for joint replacement surgery (Ezzat et al 2015). Rheumatoid arthritis is a systemic inflammatory condition that affects approximately 1% of the world’s population (Shinde et al 2017). The common symptoms of arthritis are joint pain, stiffness, fatigue and reduced physical function (Ezzat et al 2015). Therapeutic exercise programs have been shown to reduce the severity of symptoms, help manage the condition and improve the overall quality of life for people suffering from arthritis (Ottawa et al 2005). 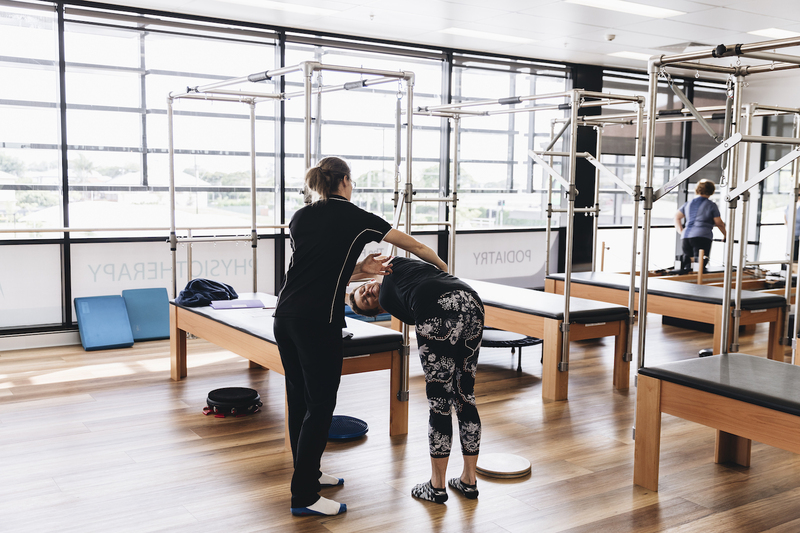 Through CETIR training our physiotherapist provide individualised exercise programs to maintain mobility, improve strength, protect unstable or inflamed joints, reduce fatigue and pain. Recovering from a joint replacement can be painful and take time. There can be associated muscle weakness, stiffness, swelling and apprehension. Early mobilisation and therapeutic exercises are recommended and will help you return to a high level of function (Artz et al 2015). Our physiotherapists can assist in your recovery by providing a tailored rehabilitation program. We form a patient centred approach, work with your Dr to avoid any complications and ensure that you progress smoothly through your rehabilitation. Through our CETIR programs we are able to provide a wide variety of open and closed chain exercises that draw upon the best practice guidelines and focus on the best possible recovery. We specialise in carefully graded programmes to assist your recovery from back and neck surgery, joint replacement surgery, joint reconstructions, cancer surgery or other major surgeries that have left you physically weak. Our physiotherapists design you a graded programme and carefully monitor your programme. Our balance and mobility often becomes a concern as we age. Poor balance and mobility can lead to falls and often significant injury. Poor vision, decreased muscle strength, reduced proprioception, our bodies awareness to where it is in space and loss of joint flexibility all contribute to poor balance which in turn can lead to reduced mobility. These factors can limit our involvement in the activities that we enjoy and affect our daily living. Barker et al 2015 suggests that exercises focusing on strength, core stability, flexibility, muscle control, posture, and breathing improve balance and mobility concerns. Through our CETIR programs our physiotherapists draw upon current best practice to address coordination, balance deficits and improve core muscle control. Barker et al have shown that by improving these factors, that contribute to improved lumbopelvic stabilisation, we can improve the balance needed for daily activities and function. Osteoporosis (OP) is defined as a skeletal disorder characterised by reduced bone strength & bone mineral density (BMD). Old age and reduced estrogen are the two main factors associated with OP. The combination of reduced balance, reduced bone strength and a high chance of falls, as with an aging population, significantly increase the chance of fracture and prolonged disability (Wilhelm et al 2012). Wilhelm et al 2015 suggest that resistance training can have a positive effect on physical function and activities of daily living in adults with osteoporosis or osteopenia. Through our CETIR training our physiotherapist can draw upon best practice and tailor individualised functional closed chain exercises to help manage symptoms and complications associated with osteoporosis. Many teenagers experience musculoskeletal pain as they increase their sports performance or carry heavy bags to school and spend many hours sitting. At the same time they are going through growth spurts and developing muscle imbalances. Our teen classes are held on a range of equipment that assists with core strength, posture, stretching and deep body strengthening. Do you want to get back into exercise after childbirth, but can’t find a babysitter? We have taken the principles of Pilates and merged it with the latest in sports physiotherapy and dance physiotherapy to bring you a client specific exercise system which we now call CETIR ( Clinical Exercise Therapy and Integrated Rehabilitation). We perform a detailed musculoskeletal assessment and then design you an individualised programme for performance enhancement or to rehabilitate you fully from injury.